Pittsburgh, PA, January 2, 2012 – Yesterday millions ushered in the beginning of a New Year, wishing people well and making resolutions for 2013. A lot will happen over the next year. Some events may be unexpected, such as a car accident. There were over 125,000 reportable traffic collisions in Pennsylvania in 2011, according to PennDot. Over 80,000 people were injured, and 1,286 victims died in accidents. Yet most drivers turn the ignition in their vehicles, never expecting a collision to happen. "According to the Insurance Research Council, one in seven drivers is uninsured, and thousands more are underinsured," says Attorney Edgar Snyder, founder of Edgar Snyder & Associates, a law firm that has represented thousands of auto accident clients over the past 30+ years. "Ask most people about their insurance policy, however, and they may not even know what's included in their premium, let alone the purpose of each type of coverage." 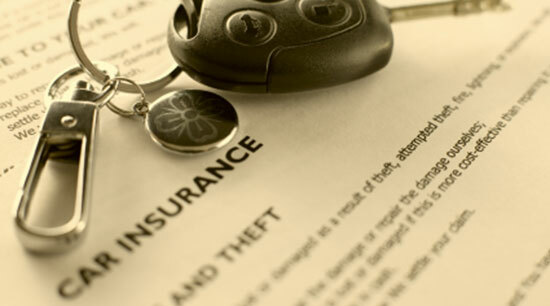 Review your auto insurance policy annually. Your financial situation may change from year to year. A child may return from college and drive the car more regularly. You may have reduced health coverage provided through your employer. At the beginning of each year, review your policy, and evaluate whether your current coverage will take care of you and your family if you're in a severe car accident. You can make changes to your policy at any time – all you need to do is contact your agent. Don't choose just the bare minimum required by law. Pennsylvania auto insurance law requires certain types of insurance: Bodily Injury Liability, Medical Expense Benefits, and Property Damage Liability. Drivers also must choose either Limited Tort or Full Tort on their policy. There are various types of optional coverage, including Uninsured/Underinsured Motorist Coverage, Income Loss, and Funeral Benefits. Cutting costs now may backfire later. Full Tort is the way to go. Choosing Full Tort allows you (or anyone listed on the policy) to file a claim to get compensation for pain and suffering for car accident injuries, assuming that someone else is at fault for the accident. 'Pain and suffering' may include physical and mental pain, discomfort, inconvenience, stress, embarrassment, humiliation, loss of enjoyment of life, and disfigurement. Choosing Full Tort on your policy does increase your premium more than choosing Limited Tort, but it could mean you receive thousands of dollars more if you're injured in an auto accident. Pennsylvania is a 'first-party' Medical Expense Benefits state. This means that when you're injured in an accident, your own auto insurance pays for your medical bills up the limit you've chosen on your policy. Your policy protects you whether you were injured as a driver, passenger, pedestrian, or even the victim of a hit-and-run accident. Uninsured/Underinsured Motorist Coverage is optional, but worth every penny. Adding UM/UIM (as it's also known) increases premiums by just a few dollars, and provides protection against the thousands of uninsured and underinsured drivers on the road at any given second. Stacking of UM/UIM coverage significantly increases the amount of compensation available to you after an accident caused by an uninsured or underinsured driver. If possible, include all vehicles in your household on the same policy. If you're in an accident, don't give a 'recorded statement' to the other person's insurance company…or yours either. The insurance company will likely try to use it against you later by pinning part of the blame on you. Always be careful what you say and sign. There are two ways to repair your car after an accident. You can go through your own insurance company or through the at-fault party's carrier. (Using your own insurance company will likely be quicker and easier.) You can use a 'preferred provider' to repair your car, or choose your own and play the negotiating game. Consider Funeral Benefits. Funeral benefits help to pay for funeral expenses if a person listed on the auto policy is killed in a car accident. It can ease a family's financial burdens during an already difficult time. Premiums can vary by thousands of dollars. Many insurance companies offer discounts if you have a clean driving record, a vehicle with certain safety features, a good credit score, etc. Don't be afraid to shop around. Get quotes from other insurance companies before committing to one – a good rate may keep you from the temptation to skimp on coverage that will protect you and your family when it matters most. Edgar Snyder & Associates offers a free e-book, How to Choose Auto Insurance, to Pennsylvania drivers who still have questions about their auto insurance coverage. Edgar Snyder & Associates has represented over 75,000 accident victims, workers hurt on the job, and people with disabilities who need Social Security disability benefits. The law firm has offices in Altoona, Ebensburg, Erie, Johnstown, and Pittsburgh.